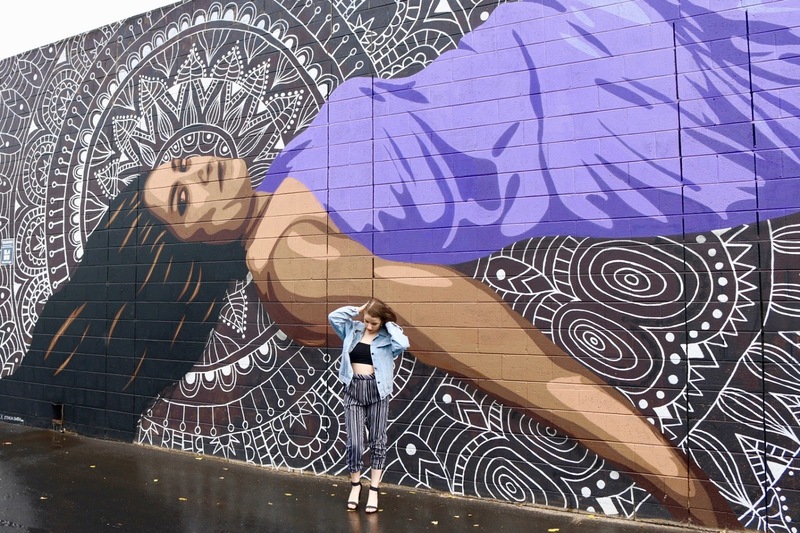 Little Rundle Street in Adelaide, Australia is one of many street art explosions in Adelaide. 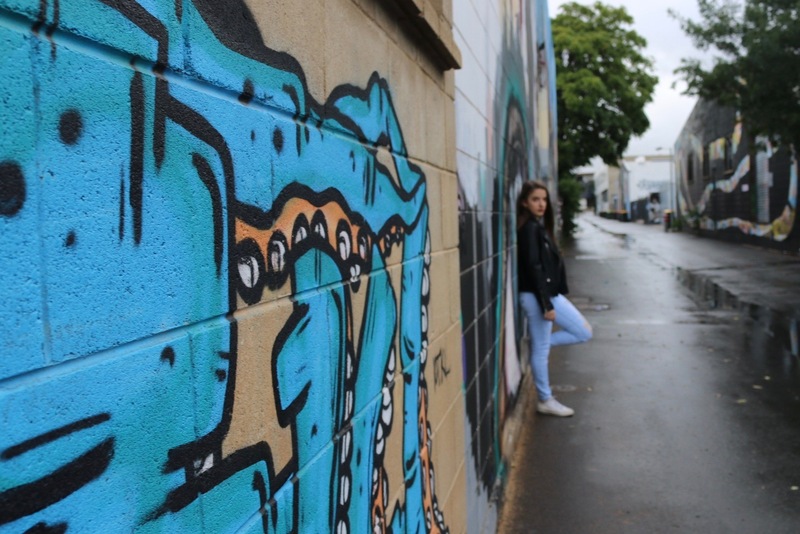 I am creating a series on street art/murals in Adelaide, I gained inspiration for this series from my art class a couple weeks back. 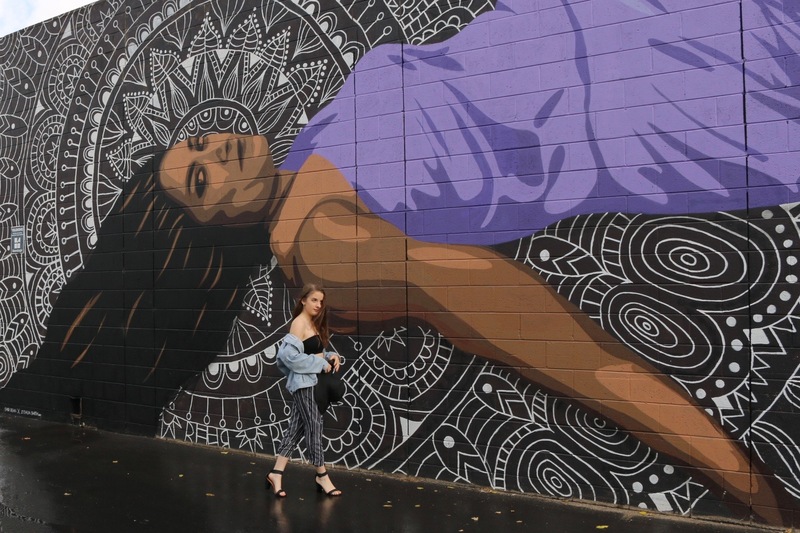 I didn't realise how much street art there is in Adelaide so I wanted to start a series to show my readers a little bit of Adelaide's beauty. I hope you liked this week's blog post! It was so fun going 'off campus' to take blog pictures especially because it was raining most of the time we were down there. 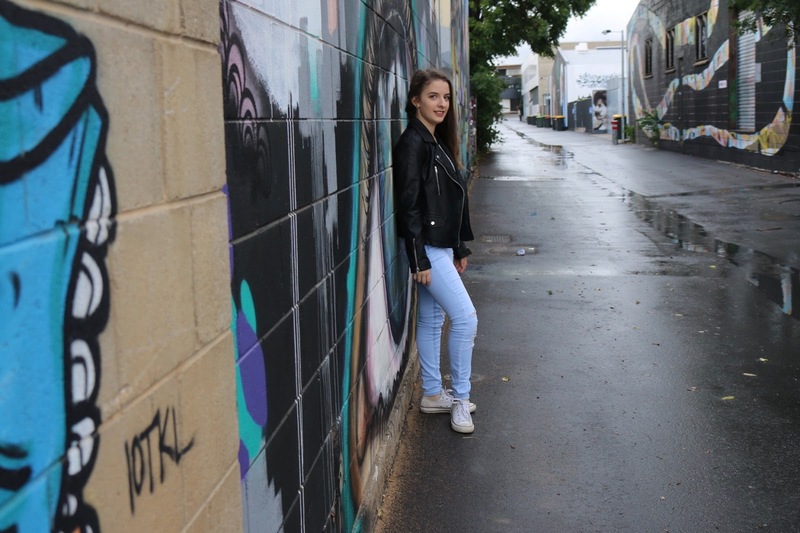 There is so much street art down Little Rundle Street, if you get a chance you should definitely check it out. WOW! That street art is absolutely gorgeous. I love looking for creative street art whenever I am in the city. WOW! That street art is incredible! I am in love with street art. I try to find the local color anytime I travel. Thanks for sharing yours! Those are some gorgeous murals. I just love all the colors and how they bring life to the alley. My favorite is the eyeball. That street art is absolutely gorgeous! We have a section of downtown Phoenix that looks like this--it's called Roosevelt Row. Little Rundle reminds me a lot of Roosevelt Row! Even with the rain, you look like you had a good time. And everything looks so brilliant. This is so awesome! It's great to see such artistic talent showcased, definitely art! That street art adds so much charm to an area. It takes a regular even run down area and makes it beautiful and interesting. Gorgeous street art - and it looks like a fun place to shoot. I love that there is water on the ground - adds a real street feel to it. The street art has such vibrant colors! I love the detail of both the girl in the purple dress and the eye. Thanks for sharing! Wow those are beautiful mural street art! We have a few in our town and it's always fun because it shows the city's culture! I'm so impressed by street artists. It's incredible to see the amount of talent and creativity they can display. It truly transforms the look of the wall. What amazing street art. I love when streets are full of color and talent. Your outfits are seriously great. We have some amazing street art here in New York City so I can definitely appreciate this artwork. I love how stylish your outfits are too. That street art down Little Rundle Street is truly lovely. I will definitely check it out myself because I love seeing creative arts like this.